Queries are answered at our discretion and should not be construed as obligatory on our part to answer them. Also, if we are incapable to answer any query, same will not get replied. If your queries are not answered, don't post them again. Strictly avoid asking targets. Such queries may not be replied to. 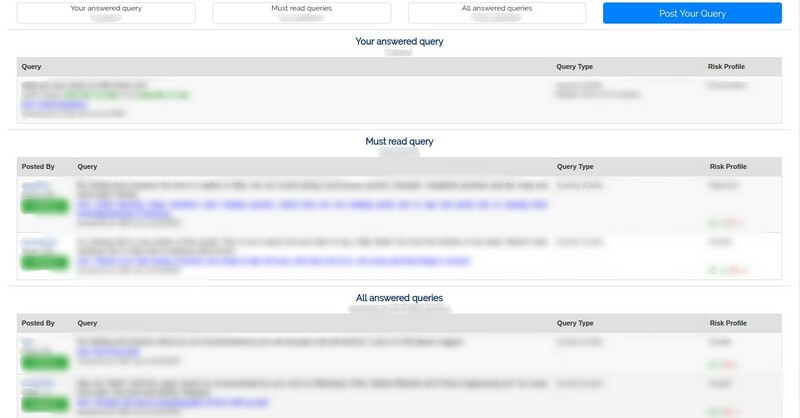 Read queries posted by others, to gain maximum benefits and to avoid repetition. Restrict a query to maximum two stocks, else query will be not be replied to. Impulsive and repeat queries will be given an exit call. Also, request to maintain decorum in the section and restrict to subject matter only. Answered queries should always be read in context to the reply given to the querist based on his/her Risk Profile, Query Type and Time Horizon. For example, a stock with good long term fundamental may be a good Buy in cash for long term, but same need not be true for short term investor or to take position in F&O. Please note that deleted queries are also counted against your alloted Stock Query quota, which is given on subscription plan. Disclosure: We may have interest or holding in the stocks advised. 'Have Interest' implies we have holding in the stock, while 'No Interest' means we do not have any holding in the stock. Rationale for advise: Advise is given to the best of our abilities, which may differ to an investor and a trader, as also, based on his/her risk profile, query type, time horizon and market situation prevailing at the time of reply.